Are you still on Windows Server 2003? Many still are and the reason is often because of Active Directory® (AD). 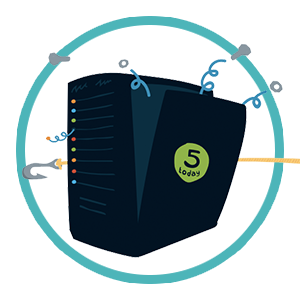 It is hard to upgrade your AD server when it is working and critical to your everyday infrastructure. As you know, the end of life (EOL) for Windows Server 2003 occurred a long time ago (back in July 2015, to be exact). Like anything else that is EOL, you are living on borrowed time. High profile attacks on older platforms, such as WannaCry, should be a wake-up call that you need to upgrade your Windows Server 2003 Active Directory instance. Unfortunately, upgrading can be expensive and time consuming. Making the leap to Windows Server 2016 may take a great deal of time and hardware. So, it’s important to take a step back and consider if it is worth it and what other options are available. A lot has changed within the workplace since 2003. Users have switched from Windows systems to Mac and Linux systems, they are using web-based applications, and thanks to the cloud, IT no longer has to have on-prem infrastructure. Any IT admin who has worked with Active Directory in a modern office understands the challenges of trying to properly manage remote servers, Mac and Linux systems, and provide users with access to web-based applications. In an AD environment, IT has to resort to installing third-party solutions on top of their Active Directory instance to achieve proper control over their environment. So upgrading your Windows Server 2003 will not only cost time and money in the near term, but it will continue to cost you time and money indefinitely. You will need buy and manage additional solutions to sit on top of your Active Directory instance, just so that you can properly manage your modern office. With all of the advancements in cloud technology, many organizations that are faced with an end of life Windows Server 2003 are making the decision to start fresh and shift to the cloud. 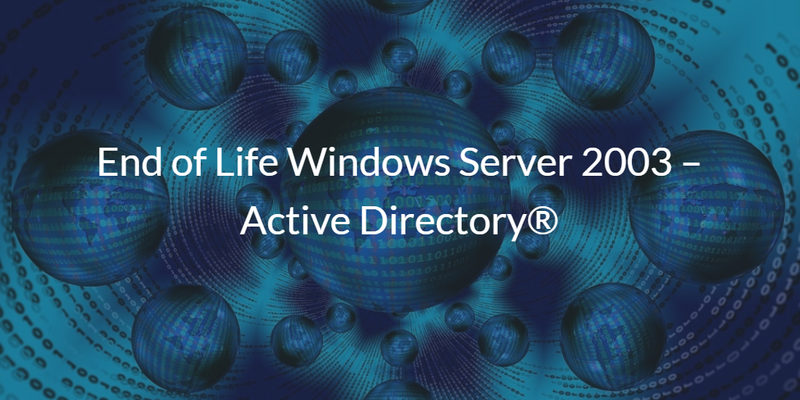 With an Active Directory alternative, it is now possible to eliminate your Windows Server 2003 and completely bypass the costly upgrade. Directory-as-a-Service® (DaaS) can migrate your Active Directory instance to a cloud identity and access management platform. 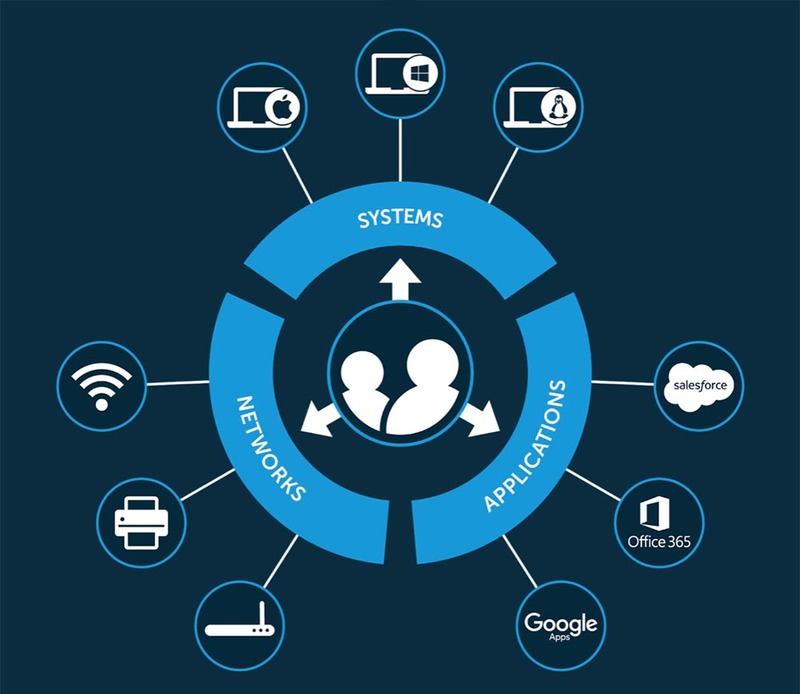 IT loses the hassle of managing servers and software and gains efficient and centralized control over their users, systems, remote servers, web-based applications, and WiFi networks. Users in turn benefit from frictionless access to all of their resources. To learn more about migrating off of Active Directory, consider watching the webinar below or read how Ace Payroll is thriving after they switched to our cloud based directory service. If you have any questions about migrating off of Windows Server 2003, we’d love to talk to you. You are also more than welcome to start testing our virtual identity provider by signing up for a free account. Your first ten users are free forever.